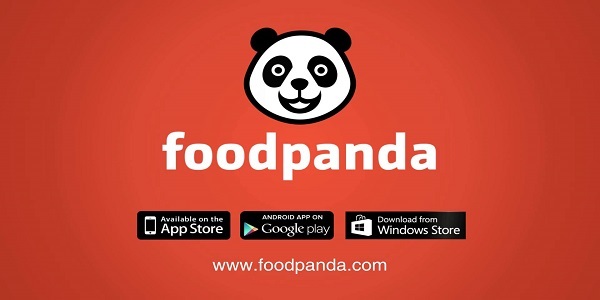 CASE STUDY: How Foodpanda leveraged Digital Marketing to become Google of Online Food Industry? 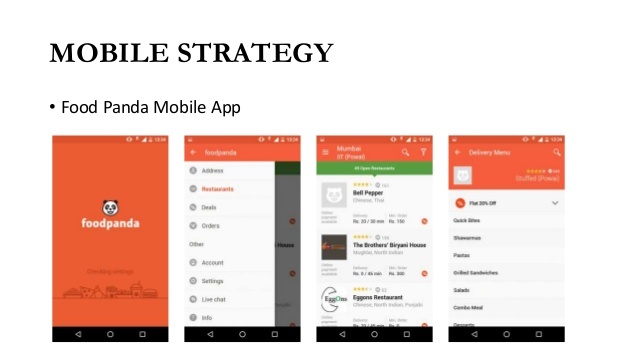 Home > Blog > Blog > CASE STUDY: How Foodpanda leveraged Digital Marketing to become Google of Online Food Industry? Hungry? Too tired to cook or go out for food? Stuck gnawing at suspicious looking chicken from the fridge? It happens to the best of us. If you don’t have an Internet connection, get back to your chicken. But if you do, check out Foodpanda. 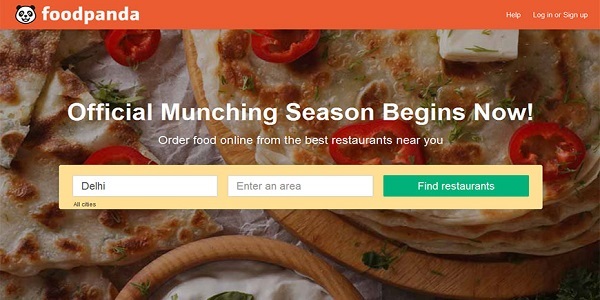 It’s one of the most popular online food delivery services in India as well as many other countries around the world. Foodpanda has the highest reach in India. No online food delivery is too difficult for Foodpanda. Additionally the increasing role of digital marketing in online businesses has helped greatly in making Foodpanda a global name. Foodpanda has over 2.2 million likes on Facebook and 26.7 K followers on twitter account (@foodpandaIndia). What sets them apart from their competitors is that they are able to take a worldwide brand and make it country specific, and market themselves accordingly. They know what their consumers want, and they know how to get it to them. 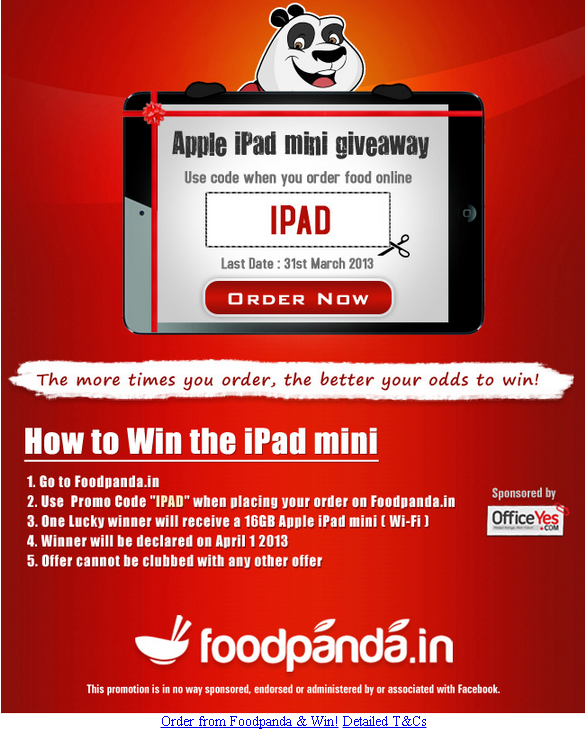 Foodpanda is utilizing the full power of email marketing. Once you have ordered with Foodpanda then many a times you must have received a mail with various promotion and discount coupons. The company always tries to ensure that their user’s first experience remains awesome and then they try to retarget them through discounted and promotional emails. Foodpanda ran a campaign on social media in 2013. The campaign promoted the brand and increased the brand popularity among the customers. People need to use the code “IPAD” at the time of placing the order. Using the code makes them eligible for the contest. People can increase their chance of winning the iPad by making more orders. 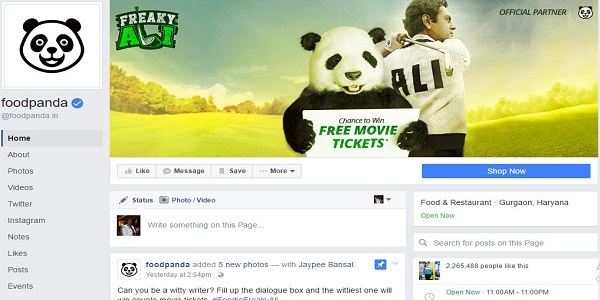 Foodpanda’s Facebook page shows its popularity on Facebook as it has more than 2.2 million fans on its page. Foodpanda on Twitter also has a strong follower base with 26.7K followers over the platform. Solving the customers query through social media has created a faith for the brand among the customers. The time Foodpanda started and entered the market in 2012, people were not clear about the business model of the company. Some thought that Foodpanda as a restaurant while others thought it as food supplier and food Delivery Company. But now users have a clear view of what Foodpanda is all about. Mobile has played a great role in the success of the company. Most of the orders coming from the mobile app, Foodpanda now focus more on mobile marketing. Foodpanda user friendly mobile app has made it easily accessible and available for the customers to access it from anywhere anytime. Foodpanda works under name of Rocket Internet that is one of the biggest internet companies in the world. Started in 2012, Foodpanda raised $20 million to make it stable in the market. The funding round was led by AB Kinnevik, Phenomen Ventures and Rocket Internet in April 2013. Soon then in September 2013, Foodpanda raised $8 million from iMENA Holdings. Again there was another funding round of $20 million funding in February 2014 from Phenomen Ventures and other investors. With the continuous raised funds, the brand name was getting wider and wider across the globe and Foodpanda was becoming a home name for the foodies. Again in August 2014, the company raised another $60 million. Soon then Rocket Internet invested another $110 million in March 2015. Then again in May 2015, Goldman Sachs and other investors invested around $100 million. Foodpanda with its current presence in 24 countries is looking forward to expand its footprint to more countries.